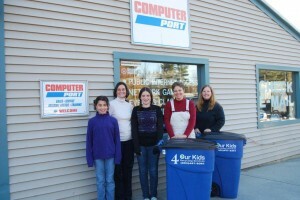 In an effort to encourage sustainability and environmental responsibility, Computer Port has spearheaded an effort to increase technology recycling for the Mount Washington Valley by becoming a drop off location for many electronic items most of us don’t even realize can be recycled. 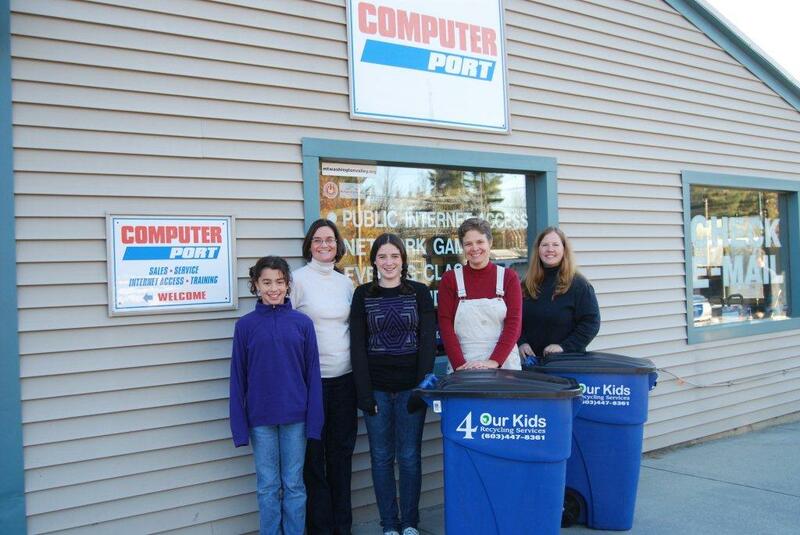 While Computer Port has already been recycling for many years, they decided to step up their program with the help of 4 Our Kids Recycling Services. By enlisting their program development and hauling services, Computer Port has now become an organized drop off location for broken or good CD’s, DVD’s and cases, video games and consoles, i-pods, cell phones, inkjet cartridges, laptops and more. Karen Albert, co-owner of Computer Port, explains that Computer Port has become the local business that people can trust and she wanted to create a partnership will other like-minded, environmentally conscious entities like 4 Our Kids Recycling Services and The White Mountain Waldorf School. She laid out a plan for The Waldorf School, whose goal is to inspire free thinking and social responsibility, to be the beneficiaries of the revenue creating items. Computer Port, located between Shaw’s and Paris Farmer’s Union, will continue to offer the service of cleaning off hard drives and recycling old monitors and towers as they always have. To find more information on Computer Port and this new program go to their web-site at www.computer-port.com or call 356-7161. To start or improve your own recycling program, or to find out more about their hauling services find 4 Our Kids Recycling Services on facebook or visit www.4ourkids.homestead.com. For more information on The White Mountain Waldorf School go to http://whitemountainwaldorf.org/.